Oh, the “comfort and joy” this holiday book tag by RichardDenney brought me. I hope you enjoy reading it as much as I enjoyed writing it. A big thank you to Rachel @ One Little Bookshelf for tagging me. I’m pretty sure I don’t have a favorite winter read, but reading in the wintertime makes me think of the classics, so I’ll say Little Women by Louisa May Alcott. There are so many pretty books to choose from. I’ve always liked the cover of Leslye Walton’s The Strange and Beautiful Sorrows of Ava Lavender, but perhaps it’s not quite right for a Christmas tree. Tahereh Mafi’s Ignite Me cover is also gorgeous, but it would be disconcerting to have an eye staring back at me from the Christmas tree, so I choose. . . The One by Keira Cass. An angelic-looking girl in a gown of white roses would be perfect. Fjerda, Matthias’ homeland, from Leigh Bardugo’s Six of Crows. I imagine it looks something like this. Since we’re on the subject of Six of Crows, I want to share this fabulous poster by artist Kevin Wada. Leigh Bardugo gave it out as a promotional item at her early book signings, and I wish I had one! Out of all the novels I read this year, Six of Crows grew on me the most AFTER reading it. Does that ever happen to you? I’d pick Sam Roth from Maggie Stievfater’s Shiver. Sam is handsome, musical, loves to read, AND he’s a werewolf. I’m going to cheat a bit here–well, more than a bit. I already own many of the books at the top of my wish list, and there are lots of others available at my (awesome) local library, so the “one book” on my wish list this year is. 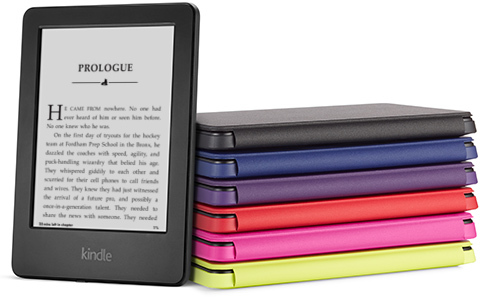 . . a Kindle! Oh, how preferable that would be to reading books on my little iPhone 5. This one is so easy. My favorite holiday movie is Elf! It’s one of those rare movies I can watch over and over again and love just as much each time. In fact, I enjoy Elf so much that–rather than writing about my favorite holiday drink and treat– I will write the name of this movie twice more.